Equal parts unblinking memoir, history, and prescription for finally confronting America's most painful legacy, In the Shadow of Statues will contribute strongly to the national conversation about race in the age of Donald Trump, at a time when racism is resurgent with seemingly tacit approval from the highest levels of government and when too many Americans have a misplaced nostalgia for a time and place that never existed. Mitch Landrieu was the mayor of New Orleans from 2010 to 2018. A Democrat, Landrieu served as lieutenant governor of Louisiana from 2004 to 2010. His father, Moon Landrieu, was mayor of New Orleans from 1970 to 1978 and a leading civil rights pioneer. 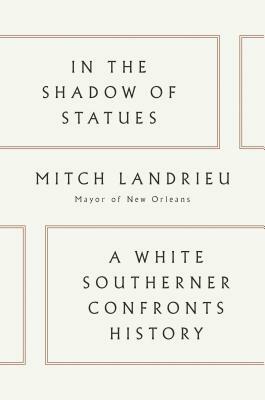 Landrieu is the founder of the E Pluribus Unum Fund, which works to bring people together across the American South around the issues of race, equity, economic opportunity and violence, proving the American motto that "out of many, one," and we are better for it.